I happened to be returning to Cherrystone for the second half of the first full week in August, which also happens to be the first full week that the campground had been reopened. A tornado that took 2 lives, injured dozens, and caused mass property damage took campers by surprise on July 24, 2014. I arrived to find most of the wreckage had already been cleared. A severely crushed heavy duty truck sat in the overflow lot as I entered the campground. Tree coverage was noticeably thinner, and it seemed eerily empty as I walked from my truck to the campground I was staying at. Shortly after arriving, me and Kayla decided to go on a bike ride so I could see some of the aftermath, particularly near the cabins. 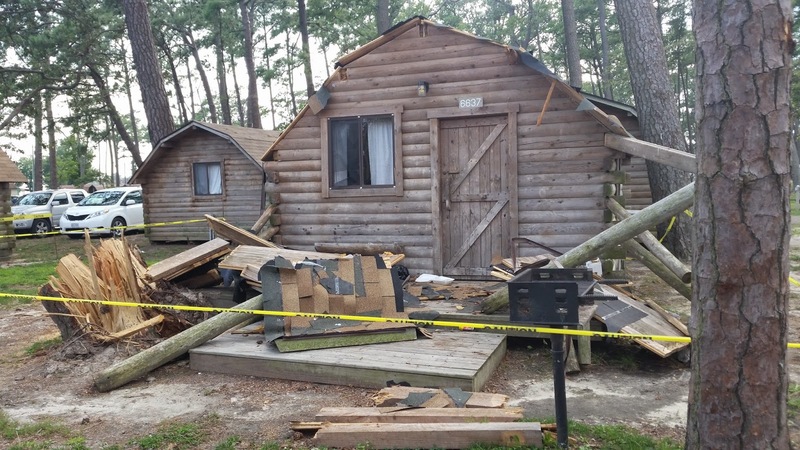 One of the cabins, which appears to have lost its front porch overhang. Note: in order to view these photos, you may have to tell Google Chrome to show the "unsafe" script. To do this, click the shield that appears in the address bar when viewing this post. Internet explorer will prompt you. Other browsers should have similar procedures. In the future I will try to make viewing photos from this site seamless for the viewer. This heavy storm struck on July 24, 2014 just after 8 AM with short warning. Luckily, the majority who encountered the tornado survived with minor injuries, however, two people camping in tents deceased. I wish the best for all those affected, as well as for the families of those who died. A special thanks for all those who responded to the disaster and provided their aid and services. 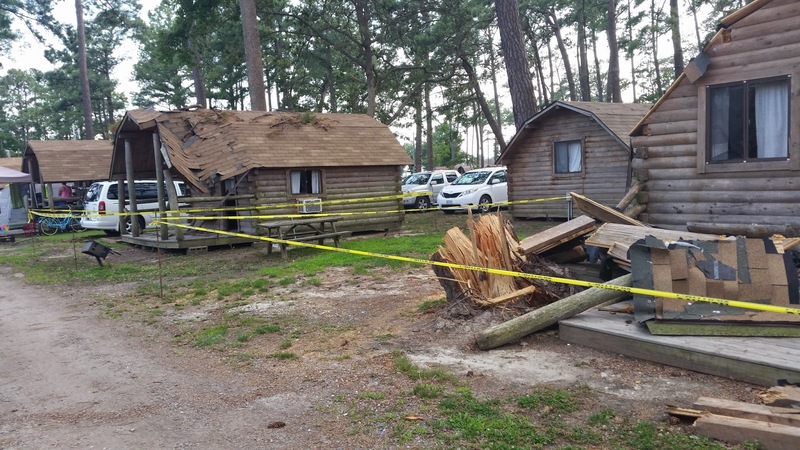 While this event was devastating to visitors and staff alike, in the 50+ years that the campground has been in operation, this kind of natural disaster is a first for them. It is very unlikely that such a storm will happen on these grounds again, so if you are a camper, I highly encourage you to visit this awesome resort! Other Photos from the visit. 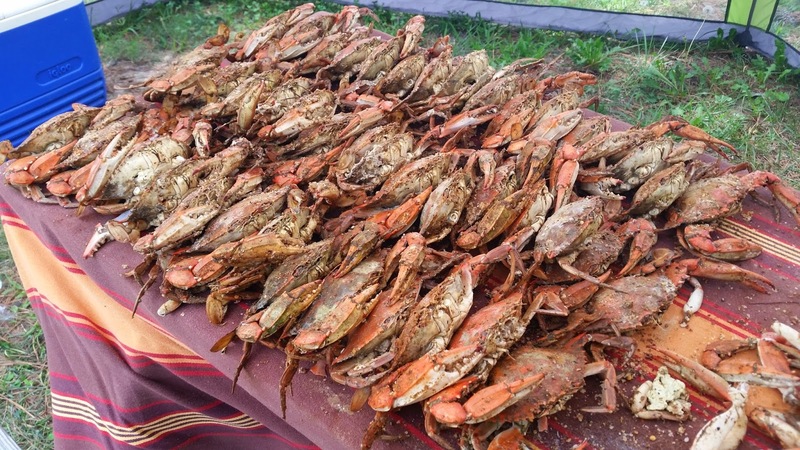 Crabs for everyone with our group! I am not much of a crab person, but I enjoy catching and preparing them. 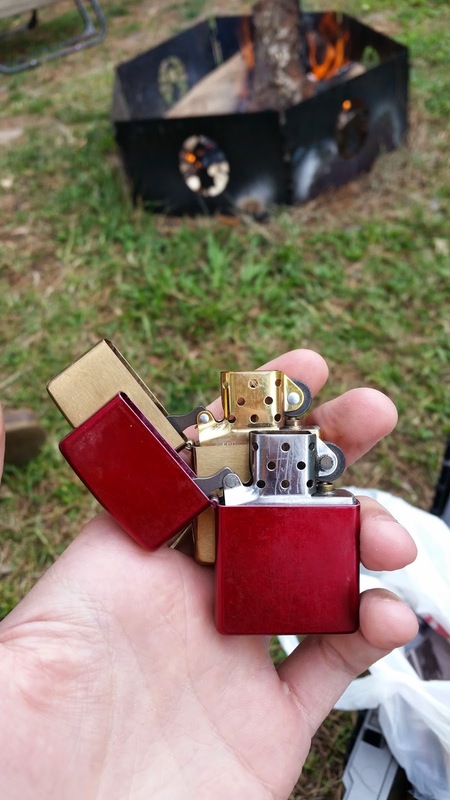 Rebuilt my red Zippo and bought a new brass Zippo while staying. These lighters are great for their wind resistant properties. Lighting a fire is extremely easy with one of these.